In this episode of Caravan to Midnight, Bill Salus exposes Roman Catholicism as the Harlot World Religion of Revelation 17. Host John B. 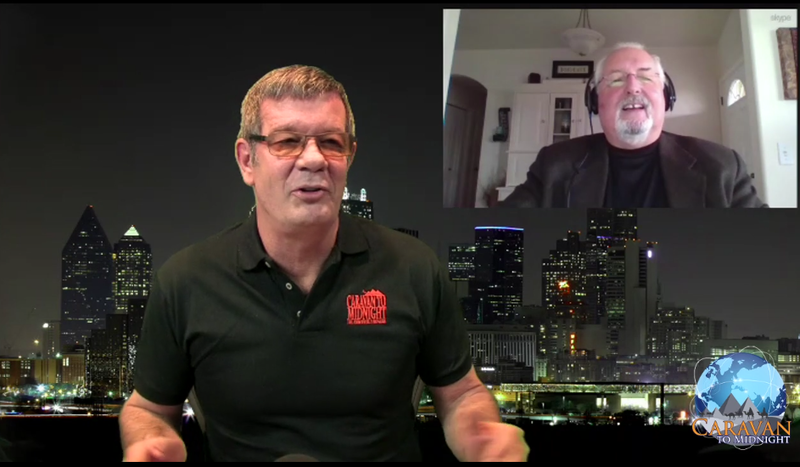 Wells asks Bill Salus about the prophetic implications of the Trump presidency and several other topics, but the majority of the show explores several of the undeniable connections between Mystery Babylon and Roman Catholicism. 1. Click HERE TO the download the audio file on GOOGLE DRIVE. 2. Click the download arrow when it appears, which will probably be in the upper right of your computer screen. (The arrow might look like the arrow image below). 3. Google will ask you if you want to DOWNLOAD ANYWAY? CLICK YES. 4. There may be commands asking, you if you want to save, run, or open. 5. There may be a command asking you what media device you want to listen through, so choose your preferred media source on your computer. 6. Once the show is downloaded it may appear as a downloaded file on the bottom of your computer screen. If so, simply click on that button. If you can’t listen to it, then you can subscribe to Caravan to Midnight and listen and / or watch this show, which is archived as EPISODE 711.